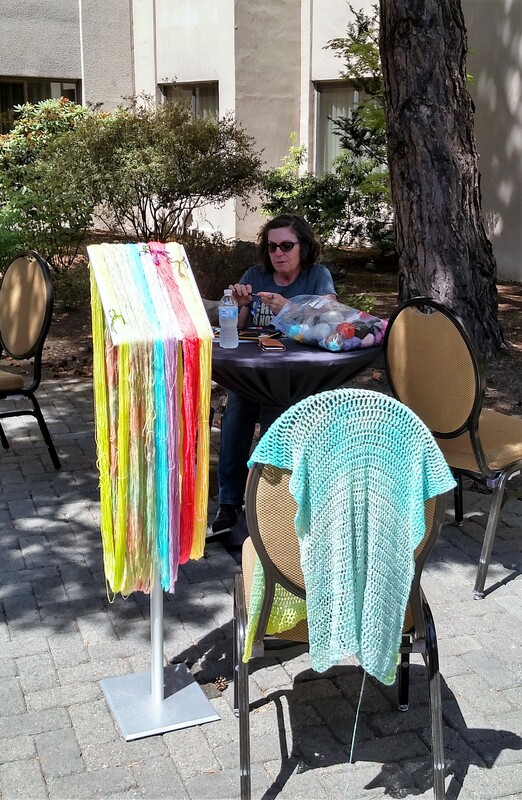 Last week I was teaching at the Crochet Guild of America annual Chainlink conference in Portland, Oregon, and you know it had to be a good time when it takes you 4 days to finally unpack. Okay 4 days may not seem like long to some, but I am usually unpacked the same day I arrive home with the laundry in the washer….however this time I just didn’t have the energy, I left it in Portland. 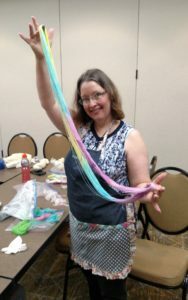 I taught a variety of classes, interestingly enough, I taught 4 classes at a crochet conference and none of them were actually crochet. 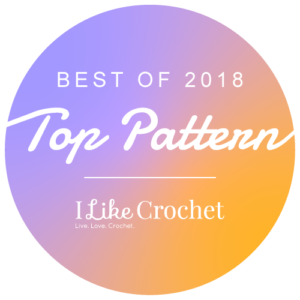 Well one was, but it was about understanding patterns and how to read them better, the other 3 were not nearly as crochet focused. I taught how to use beads in your work in my Beads 3 Ways class. It was a room full and everyone put their own style and twist on the necklace we were creating. There were definitely some talented and creative people in that room. 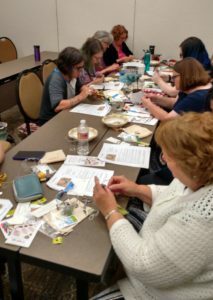 They took silk, and threads (from Kreinik threads), and beads (from Bead Biz) and learned different applications to add them to their crochet (or knitting) projects. 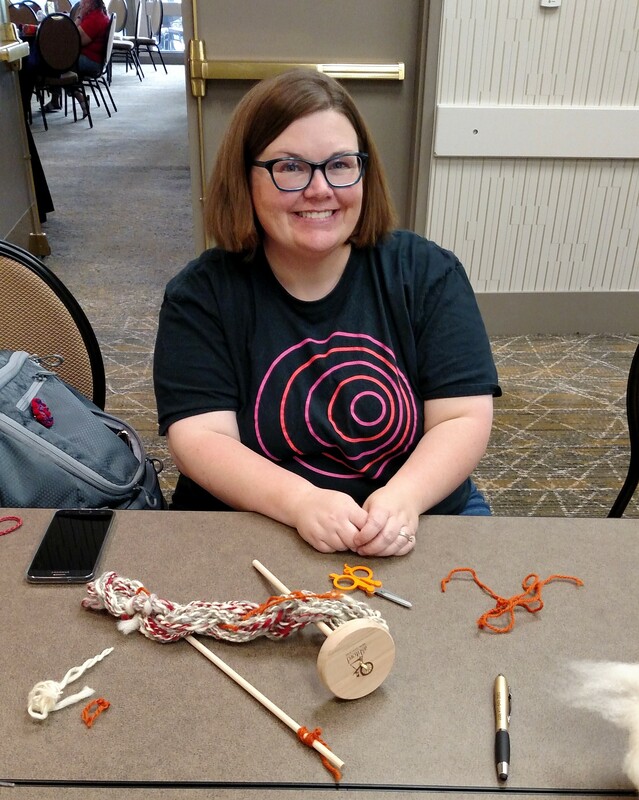 Then I spent the entire day teaching people how to actually make yarn in my Drop Spindle class. Everyone made yarn, which is an exciting prospect just in itself. 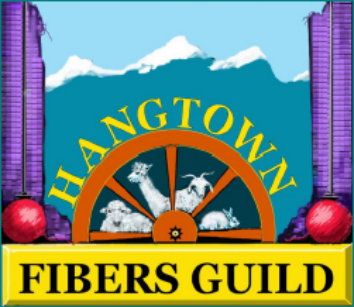 We worked with some different fibers (from Weaver Creek Fibers), and got the hang of drafting, spinning, and parking. We then plied our works and got to experience how to card wool. I haven’t taught that class in a while, and I have to say I was so impressed with what the students created. 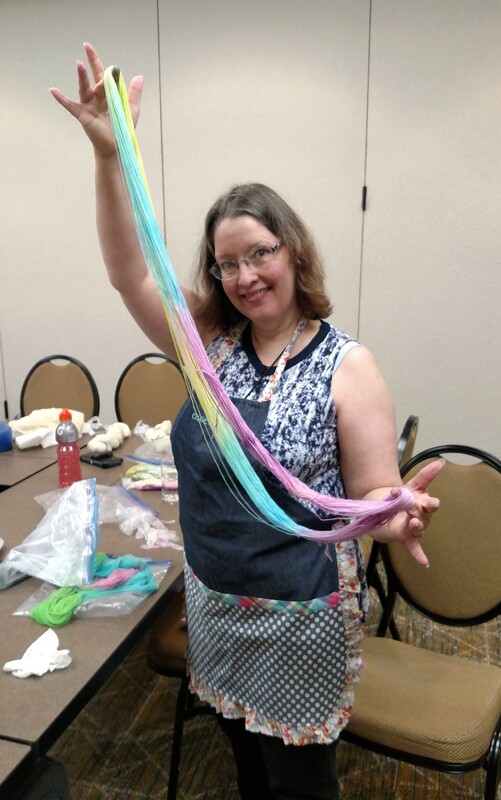 The next morning was the class that caused me to drive 12 hours to Portland…Home Dyeing…how to safely dye your own yarn. I am pretty sure everyone had fun in this class. I had to drive to ensure that all the equipment needed was there for me, so it allowed us to set up dyeing stations and play with all kinds of fiber (from Lisa Souza Dyeworks), with a variety of dyes and techniques. The artistic expression of the students really came out when we just jumped right into all the colors and combinations. 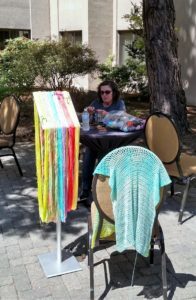 There may have been some trash talk, completely in jest, with the class next door as they were learning how to color pool yarn. 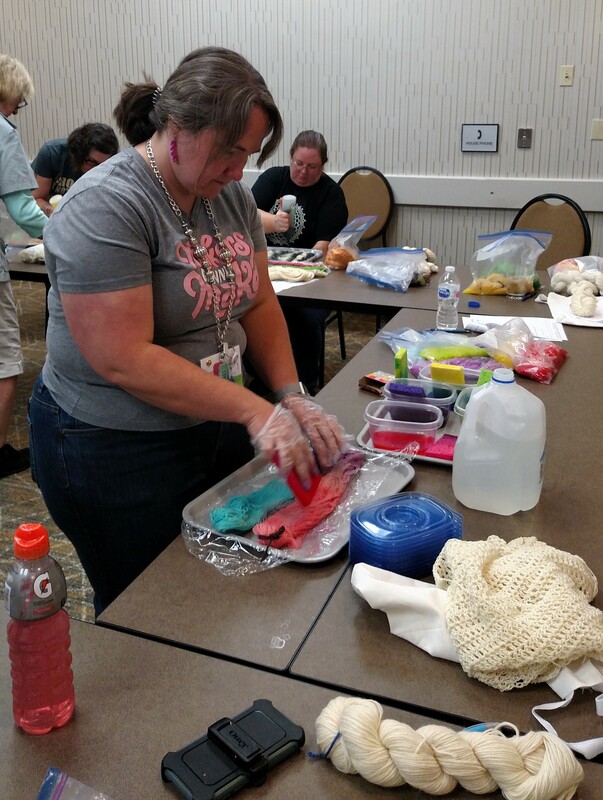 I had to put forth a challenge that were we dyeing yarn that they could not pool, my fellow instructor and friend, Vashti Braha was up for the challenge. She and I really had brainstormed ways we could work our classes together, but that didn’t come together so this little challenge was a nice addition. Then I blinked and just like that all my classes were taught. Granted there were plenty of other events that helped cause my days to fly by, there was the member meeting I lead, and the recognition of all the Master Program graduates and Design Competition winners, then the Fastest Fingers Competition where I judged the finals, and you can never forget the CGOA Banquet and Fashion Show. It really is a whirl wind, and I didn’t even join in the actives of the first day. I have to admit, I have been hooked since I attended my first Chainlink conference in 2011, it just feels like home. 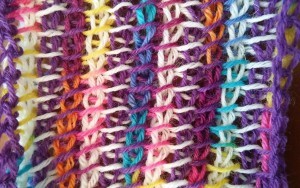 One thing that I enjoy experimenting with is visual effects in crochet. 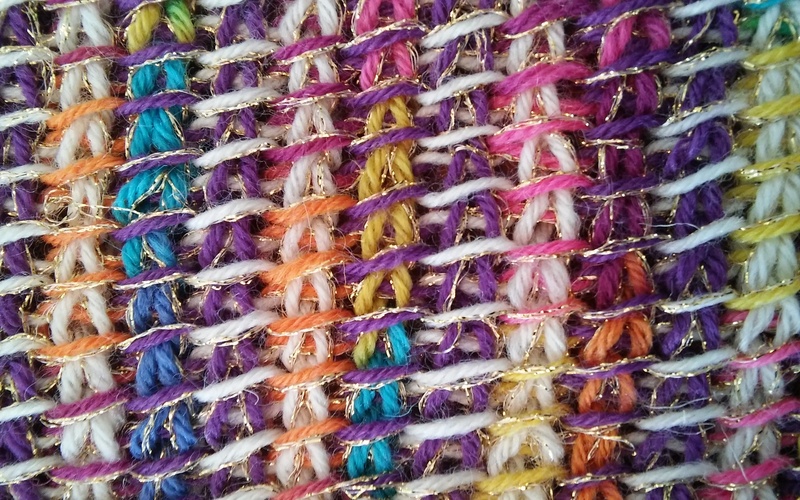 There are many different ways that this can be accomplished, textural stitches, various stitch locations, colors, but this time I was actually working with a carry a long thread. 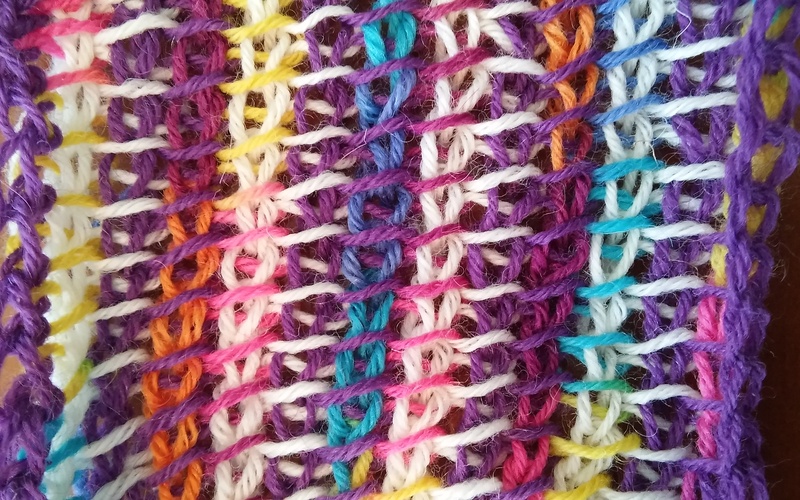 I was working with some vibrant colors, and wanted to tone it down a bit and even tie the colors together better, so I picked up some Twist Carry Along Yarn from Kreinik Threads and it did the trick. Many would find a complimentary color and add similar color thread to the work, I instead decided to go big, and I pared a color that would stand out, gold. This allows for the colors to actually find more harmony together. The eye begins to tone down the brightness of the vibrant yarns as they have a constant that is running through all of them. One of the reasons I chose the gold as the carry a long color was that if I am going to put in this extra work, I want it to be seen. I want someone to recognize my effort, if you have a hard time telling that there was something different done then it almost seems like there is no payoff for my extra work. I decided to be bold. 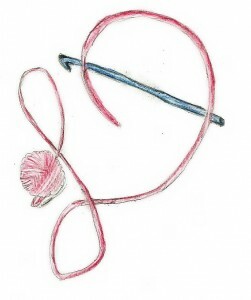 Using a carry a long thread is actually pretty easy, you just work 2 strands together, one being your main yarn and the other being your thread. 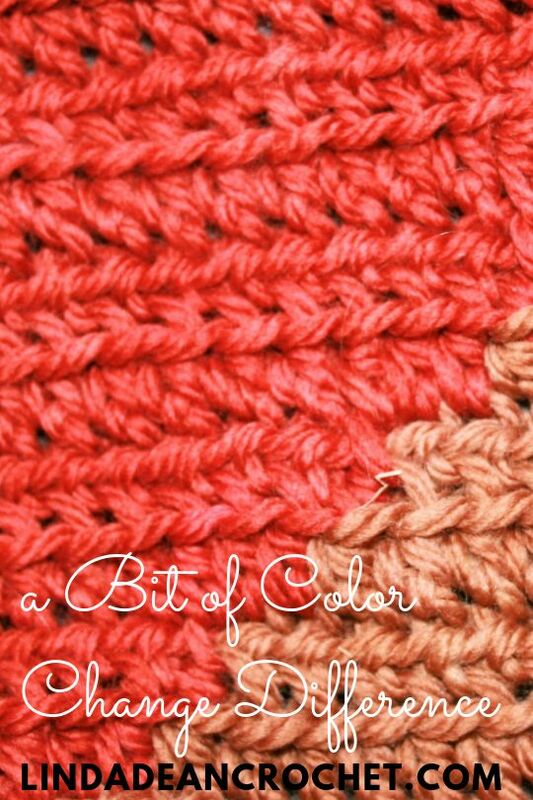 The only difficulty comes in changing the color of the main yarn, you want to make sure that you do not get everything too tangled, so remember to overlap your yarns in a consistent direction and keep the thread out of the twist. 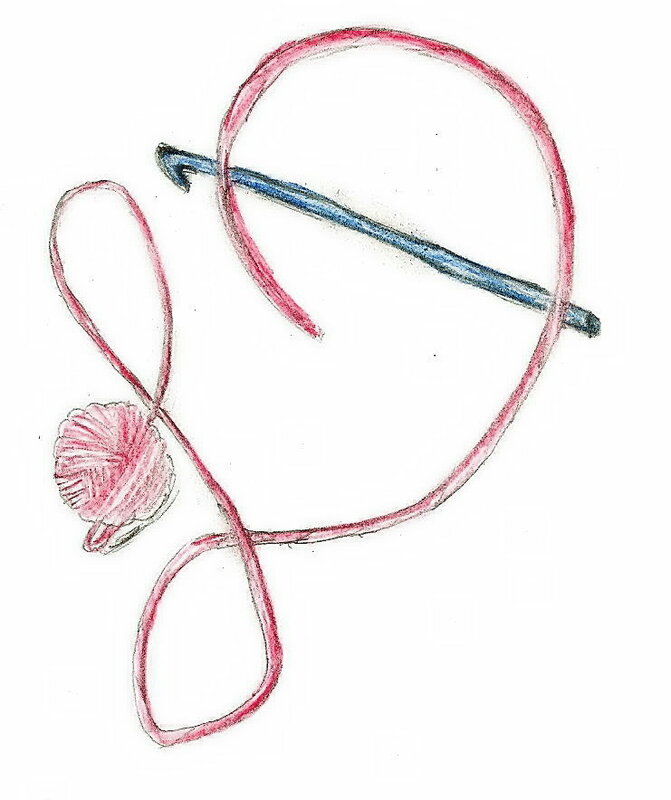 So if you want to challenge yourself, reach into your stash of yarn and pull out a couple of yarns are random, now use them together, if the colors seem like they won’t work try using a thread, either the same as I tried, or even a metallic sewing thread or a beautiful embroidery type. See how it can change the effect. Play, you might find a pleasant surprise. So I am one of those people that will eat dessert last. 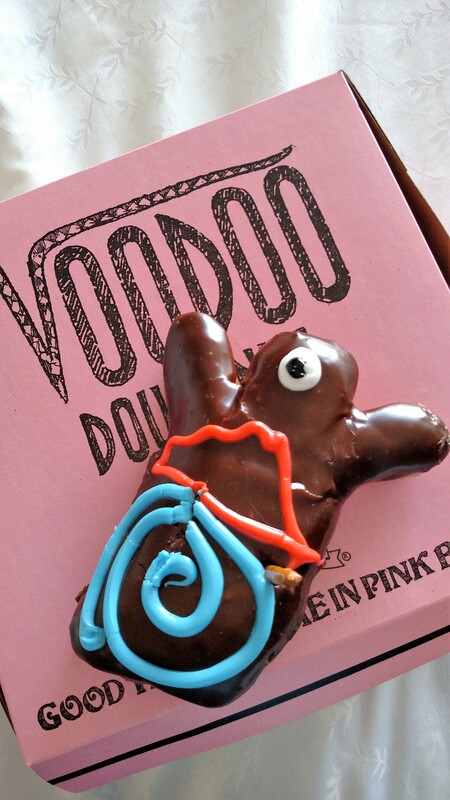 If I eat it first, it means that I am skipping dinner. Even as a kid with T.V. dinners, I would save that little two bit dessert of fruit cobbler until the very end. I still do this today; I eat my most favorite part of any meal last. 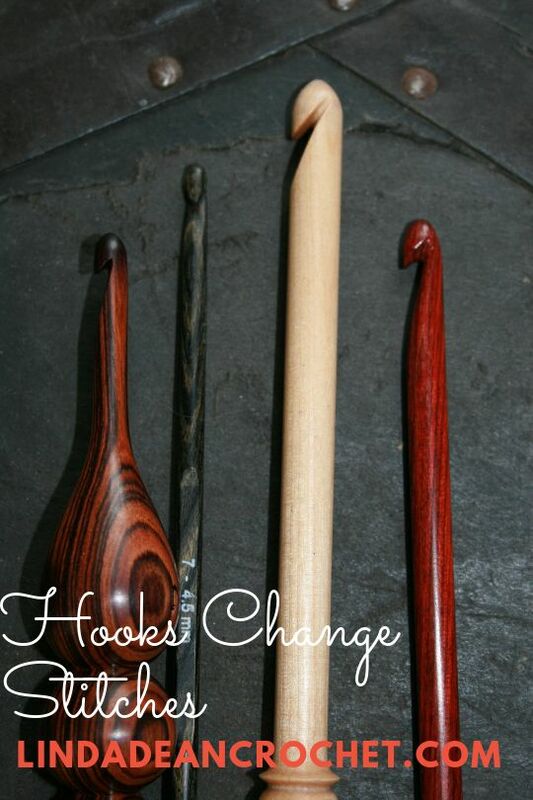 So now what does this have to do with crochet? Well not a whole lot, except that if I find a “special” yarn or accessory I have a difficult time getting around to using it. I want to “save” special until I find the right fit. This is true with a couple of things I have received over the last year, but I am forcing myself to bring them to use. After all how can I truly enjoy them if they are tucked away somewhere “special”. So I begin this process by making my own necklace. Those that see me often know I do not where all that much jewelry, just a simple necklace of a single pearl, a pair of earrings and a handmade bracelet. All things that have some sentimental value to me, and bring back memories, so receiving a Mini Masterpiece Pendant this last summer from one of its creator Shelby Allaho, immediately placed it in a “special” category. I will admit the pendant is a little bigger then I am use to wearing, at least daily, but I think that I would put it to use on “special” occasions. 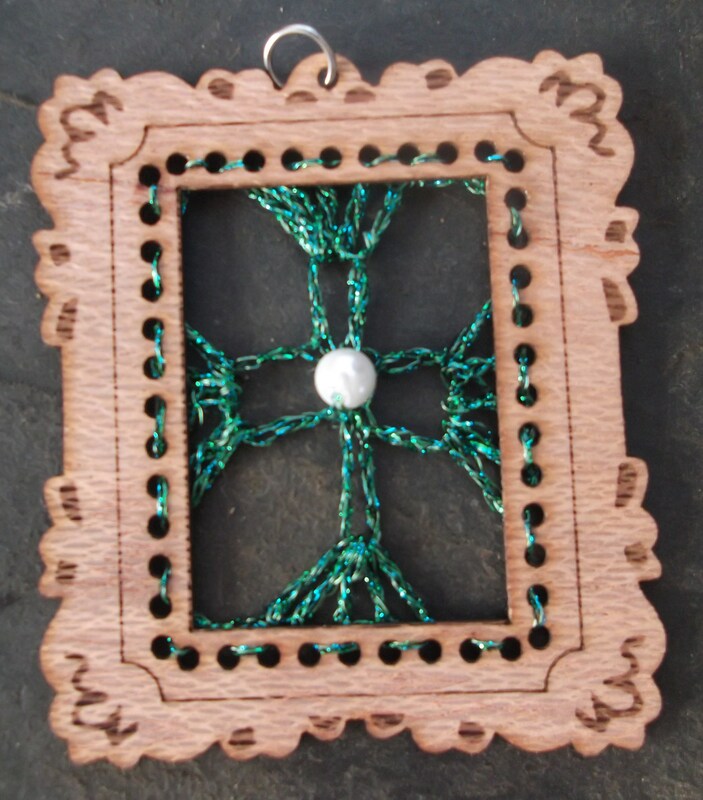 So the Mini Masterpiece Pendant is actually a small wooden frame, it is light weight and has a simple, yet decorative design. It is meant to frame a piece of stitching, (or anything your imagination can conceive of), but this also became a “special” hang up for me. What is “special” enough to be placed in the frame…( I possibility might have a problem here)…. 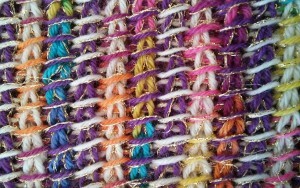 A few months ago I also received some Kreinik Twist Carry-Along Yarn color #339 Teal. 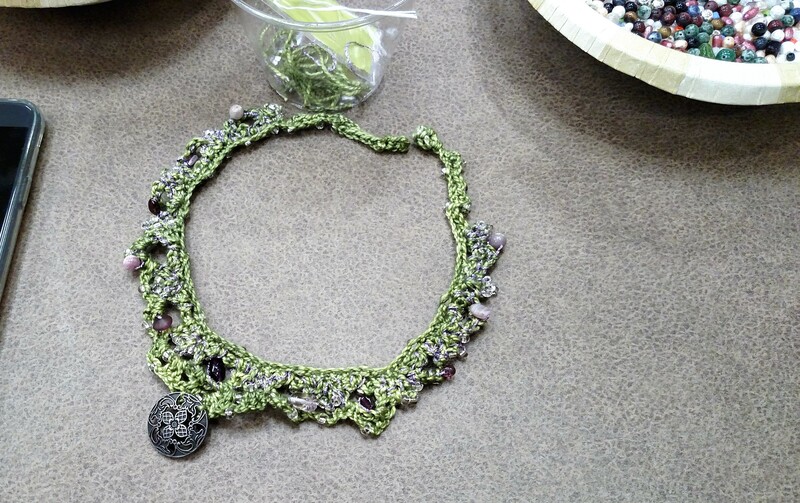 So this carry along yarn is a lace weight, and has a lot of sparkle. So it got me thinking….these are two things that I might be able to combine. 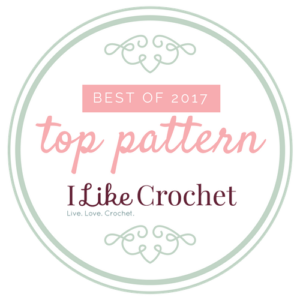 I played around with many possible small motifs created out of Twist, and found that the yarn is very soft, has a nice elastic quality in the stitches, and as I stated earlier, has a nice sparkle. This yarn is intended to be used with a heavier yarn, to add a little something extra to your overall fabric, but I decided to use it by itself. I was quite happy with the result. I made a simple 2 round motif (if you want to make one too, here are my notes on the pattern:Rnd 1: Ch 10, sc in first ch, *ch 9, sc in same ch as sc; rep from *2 more times. (4 ch=9 loops)Rnd 2: Sl st in each of the next 3 ch of ch-9 loop, ch 4, 4 tr in ch-9 sp, ch 5, *5 tr in next ch-9 loop, ch 5; rep from * 2 more times, sl st to top of beg ch 4. Finish off. ) 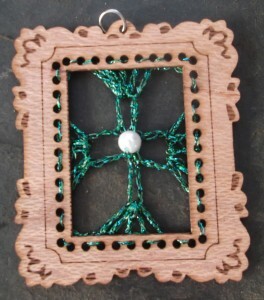 Then stitched it to the frame, I then added a single pearl bead to the center. It is airy, light, and I enjoy the shape created in both the positive and negative space. This is a very creative concept to “frame” your stitch work and it does give you something to think about…What would you frame? 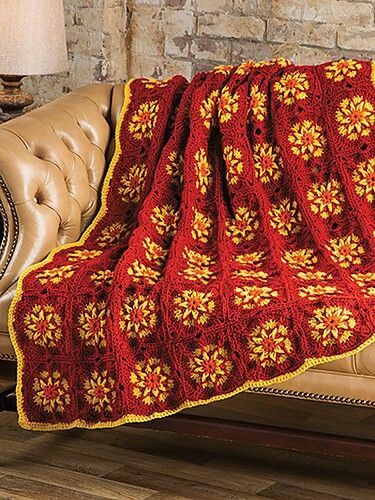 I have always felt that crochet is an art; I guess I may need to get some more frames.